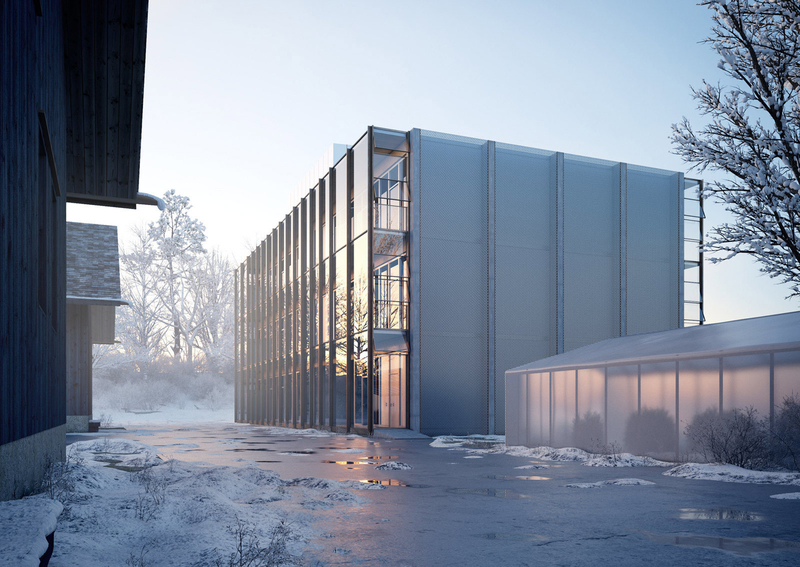 In this commisioned visualization 3D project we selected together with the client a snowy Winter mood. We hoped to have achieved a nice exterior cold feeling. The rigid structural piece, basically made of iron, concrete and glass, is an University Laboratory located in Zurich, Switzerland.